This lovely lakefront cabin is perfect for your next summer vacation. 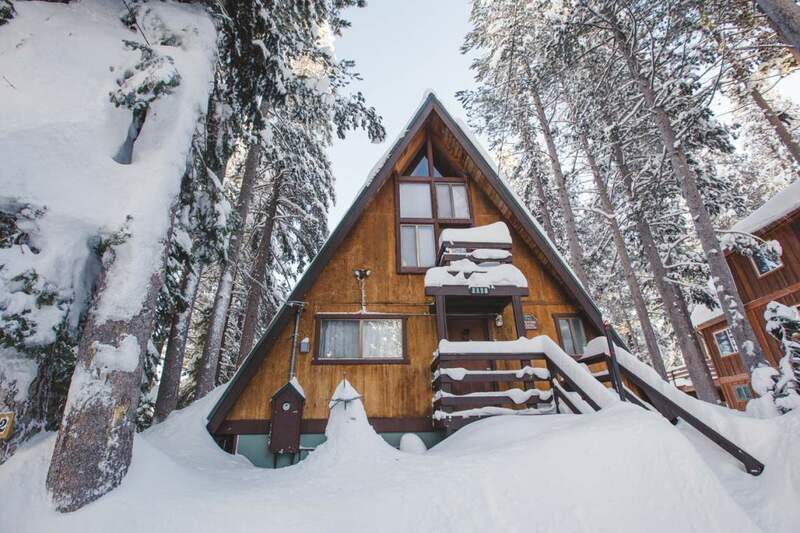 A classic mountain A-frame, it has 3 bedrooms plus a loft with amazing views of the lake, which is literally out your back door. The basement recreation room has a pool table, small foosball table, dart board, games, TV and VCR and direct access to the lake, providing you with all the entertainment you could want during your stay. With an adorable kitchen and open plan living/dining area that has floor to ceiling windows, this cabin is ideal for those wanting to spend time in the mountains to relax and enjoy the natural environment Serene Lakes has to offer. The large deck off the main living area provides incredible views of the lake and surrounding forest areas, and is the perfect spot for sun baking and star gazing.